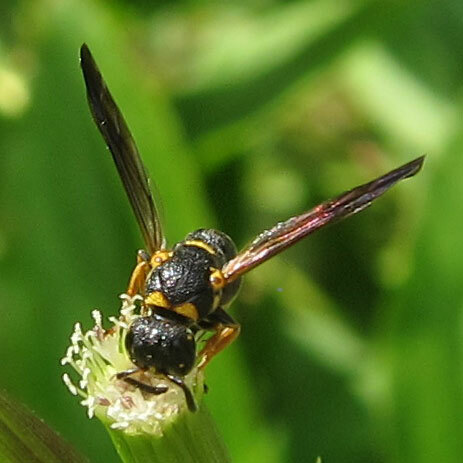 There are apparently several types of potter wasps in Sutton Massachusetts. This is the second type I've seen on my back porch. This one is black with only a few yellow stripes around it. It has yellow feet. 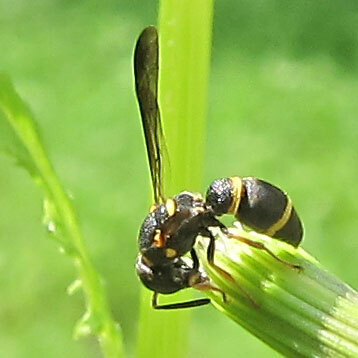 Part of the Eumeninae subfamily, this is a Parancistrocerus fulvipes species as far as I can tell.